The best treasures are the ones that change you in good ways. Here at Summers Island Press, we are dedicated to helping you find them. The reason treasures are so special, is because they are usually hard to find. But the truth is, if you are patient and keep trying, you will find some. 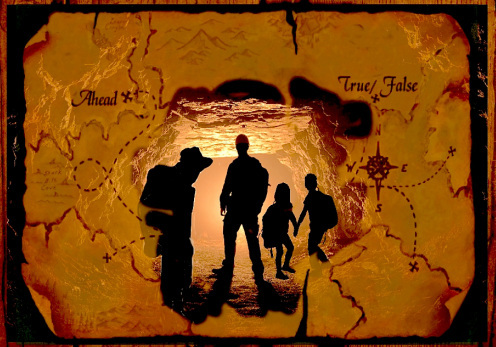 There are many different kinds of treasure, and some fit different personalities better than others. That's why we are going to offer a wide variety of different things to do on this page. Keep looking, and sooner, or later, you will find something that you love. All the books here tell about real things that you can do yourself. 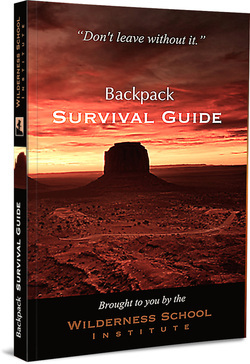 The Backpack SURVIVAL GUIDE is the first of the "Do It Yourself" Backpack Guides that allow you to practice skills that will help you not only know what to do in emergencies, but be comfortable in wilderness places, wherever they may be. Survival, Camping, First Aid, Map and Compass, Orienteering, and Knot-Tying--learn how to do them all on your own, or practice with friends. Each Backpack Guide will be available to collect by participating in the SIP Treasure Hunts. They will also be available all together as a complete manual, this coming holiday season. Whichever way you choose, these guides will provide you with many hours of activity ideas for "something better to do" by teaching you things that will make your life better, right now. How will they do that? Each time you learn a skill that could save your own life, or someone else's, you will come one step closer to being the kind of person everybody wants to be around. 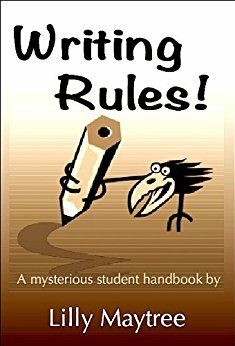 A mysterious little desktop handbook that can help anyone (well, almost anyone) with writing rules. Especially if you are a student and have to write things all the time. "After being out of school for longer than I care to remember. I have finally decided to go to college, forgetting most of what was taught to me back then. I needed some help with the comments the professor left on my papers, this book was a great refresher for the class." "Tried three other books on the topic and so far this is the best one. Finally, an ebook on this topic, that I could actually read all the way through and learn something. Thanks for your work!" Summers Island Press is an imprint of the Wilderness School Institute, a non-profit educational organization. If you would like to join us in our happy adventure of bringing more hope and heroes to the children's book market, simply use the donation button below. May you be richly blessed for doing so. Thank you!